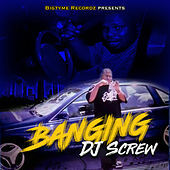 A DJ, producer, record store owner, and mixtape legend, Houston's DJ Screw has put out literally hundreds of self-made tapes flaunting his "Screwed" style. Playing popular hits at narcoleptically slow speeds, the compilations were made specifically for syrup sippers, i.e. people who drink codeine-laced cough syrup to get wasted. (See "Sippin' On Some Syrup" by Three 6 Mafia.) He was also an ardent supporter/promoter of local acts, including the Screwed Up Click. 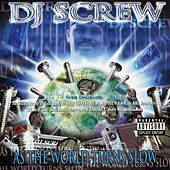 Already a star in Houston, Screw's unique style was just starting to blow up nationally after years of dedication and hard work. Tragically, in November of 2000, DJ Screw died from a heart attack at age 30. An autopsy later revealed that he had overdosed on codeine cough syrup.